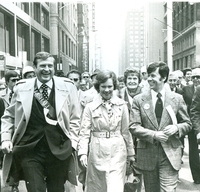 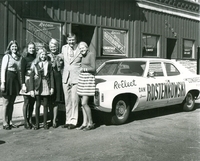 Rostenkowski at the 1968 Chicago Democratic Convention. 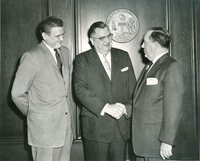 Right: Samuel Mitchell, President of Chicago Association of Commerce and Industry. 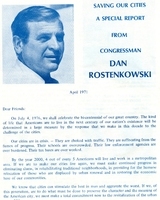 Rostenkowski acting as the parade marshall on Poland's Constitution Day. 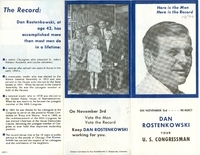 "Here is the Man, Here is the Record," campaign pamphlet. 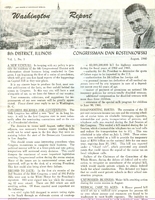 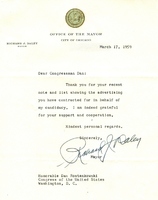 August 1960 newsletter from Dan Rostenkowski to his 8th district constituents.